Maria received her undergraduate degree in Economics and Political Science from Drew University, her law degree from Seton Hall University School of Law and her LL.M. (Taxation) from Boston University School of Law. Upon graduation from law school, she clerked for the Hon. David S. Cramp, J.S.C. 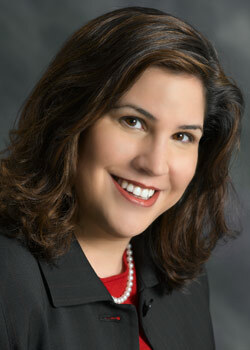 Maria is admitted to practice law in New Jersey and before the U.S. Tax Court. She is a member of the New Jersey State Bar Association (Real Property, Probate and Trust Law Section and the Section of Taxation), the New York-Presbyterian Hospital Planned Giving Advisory Council and the Bergen County Estate Planning Council. Maria is also a member of the Board of Consultors of the Real Property Trust & Estate Law Section of the New Jersey Bar Association. She is a prior member of the New Jersey Supreme Court Ethics Committee (District VB), having successfully completed a four year term. Maria became a member of the Board of Directors of the Tahirih Justice Center in 2014 and was recently appointed as the Secretary of the Executive Board. Since 2011, Maria has been a member of Society of Trust and Estate Practitioners (STEP), a worldwide professional association for professionals advising families with international interests.